This is a book about portfolio optimization from the perspective of computational finance and financial engineering. 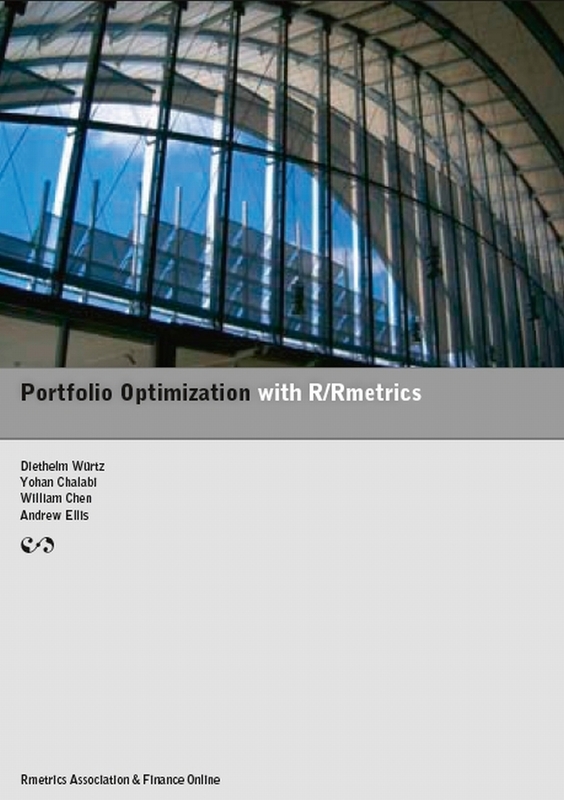 Thus the main emphasis is to briefly introduce the concepts and to give the reader a set of powerful tools to solve the problems in the field of portfolio optimization. This book divides roughly into five parts. The first part, Chapters 1-10, is dedicated to the exploratory data analysis of financial assets, the second part, Chapters 11-14, to the framework of portfolio design, selection and optimization, the third part, Chapters 15-19, to the mean-variance portfolio approach, the fourth part, Chapters 20-23, to the mean-conditional value-at-risk portfolio approach, and the fifth part, Chapters 24-26, to portfolio backtesting and benchmarking. The NEW Update 2015 supports R Version 3.2. William Chen has a master in statistics from University of Auckland in New Zealand. In the summer of 2008, he did a Student Internship in the Econophysics group at ETH Zurich at the Institute for Theoretical Physics. During his three months internship,William contributed to the portfolio backtest package.